Rough emeralds. Close-up of two clusters of uncut emerald crystals. 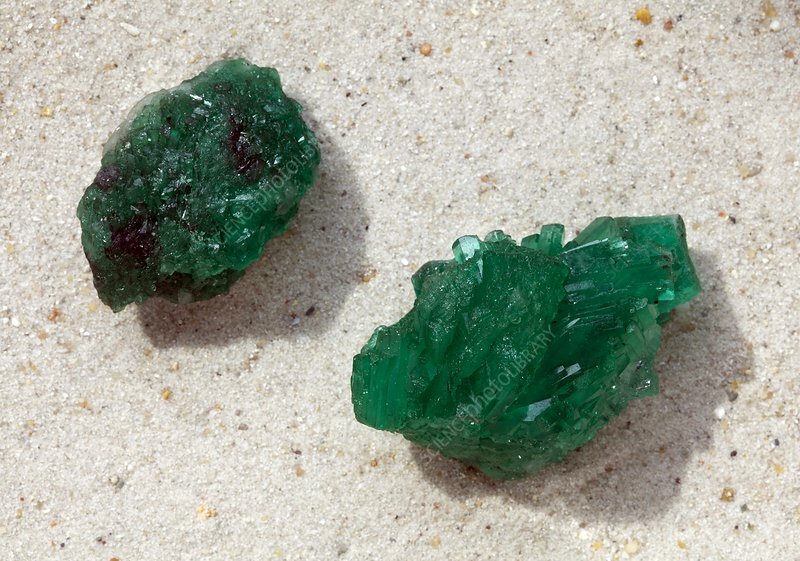 Emerald is a variety of beryl, a beryllium aluminium cyclosilicate. Whereas beryl may vary in colour, emeralds always occur in hues of green, thanks to trace amounts of chromium in the composition. When pure and flawless, emerald is the most precious green gemstone known, the deeper the green the more desirable. These specimens were found in Muzo, Colombia, and are roughly the size of a walnut.